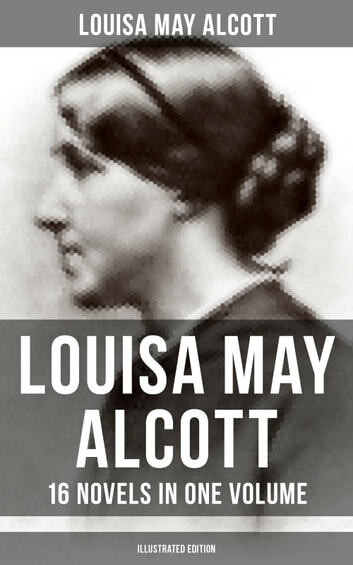 This carefully edited collection of Louisa May Alcott has been designed and formatted to the highest digital standards and adjusted for readability on all devices. Content: Biography Louisa May Alcott: Her Life, Letters, and Journals Novels Little Women Good Wives Little Men Jo's Boys Moods The Mysterious Key and What It Opened An Old Fashioned Girl Work: A Story of Experience Eight Cousins; or, The Aunt-Hill Rose in Bloom: A Sequel to Eight Cousins Under the Lilacs Jack and Jill: A Village Story Behind a Mask, or a Woman's Power The Abbot's Ghost, Or Maurice Treherne's Temptation A Modern Mephistopheles Pauline's Passion and Punishment Louisa May Alcott (1832-1888) was an American novelist and poet best known as the author of the classic Little Women and its sequels Little Men and Jo's Boys. Alcott was an abolitionist and a feminist.